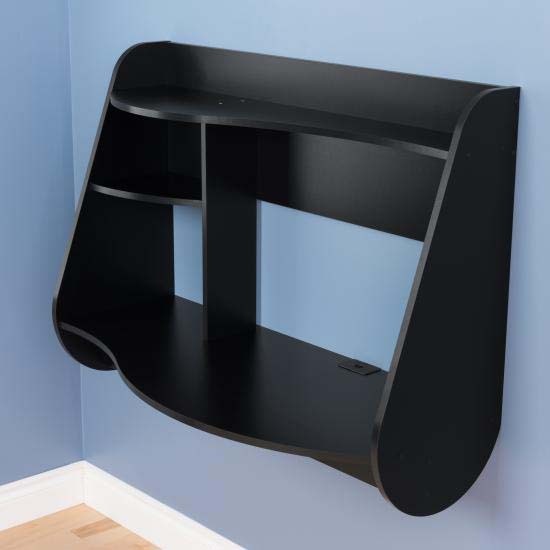 More on the Prepac Kurv Wall Mounted Floating Desk (Black) BEHW-0901-1 below. 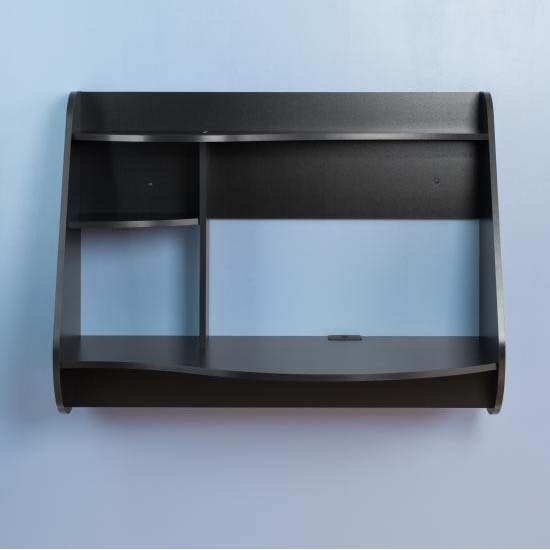 Modern black laminate provides a durable, stylish finish. 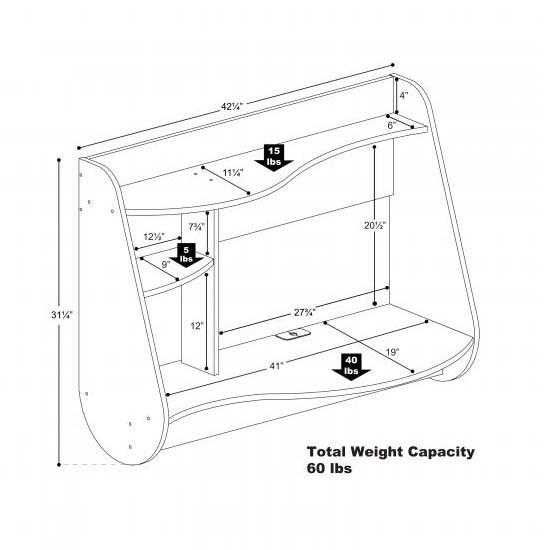 See "Related Products" below for the Kurv floating desk in white or espresso.